Sarajevo/Beograd/Pristina – Sarajevo National Theatre will host a play staged jointly by Belgrade-based Radionica Integracije and Pristina-based Quendra Multimedia on Monday, 21 March 2016. It is about Shakespeare’s Romeo and Juliet against the background of burdened Pristina-Belgrade relations and ways to overcome almost insurmountable borders and barriers. The guest performance in Sarajevo is supported by Regional Cooperation Council (RCC), Sarajevo Winter Festival and Robert Bosch Stiftung. 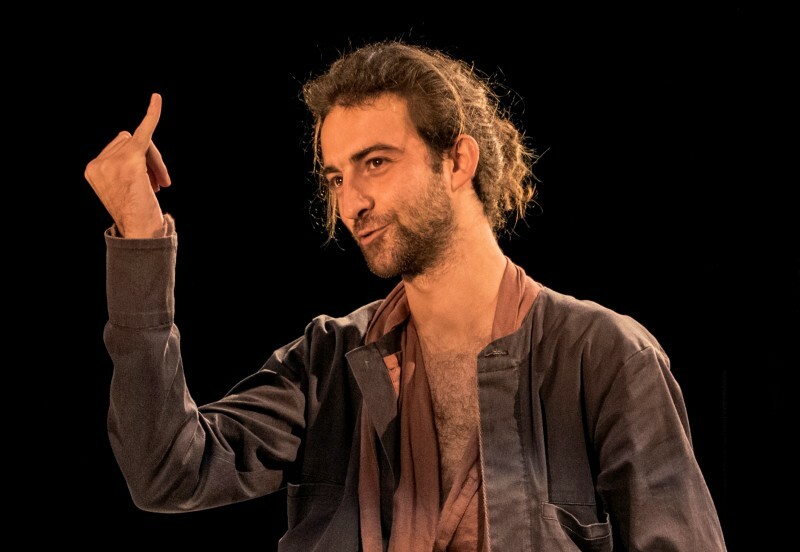 According to Miki Manojlovic, Director, this play “is not a reflection of political opinion but a work of people with talent, brains and courage. Each one of them loves their nation and does not hate the other. It is a big thing that artists from Belgrade and Pristina came together and with their whole heart worked on the play”. The play is performed in Albanian and Serbian language, and set in modern-day Verona. It has no local connotation, with love, hate and language as both a bridge and a wall as common denominators. The fact the play has been staged and was a success in both Belgrade and Pristina and wherever else performed is a serious evidence of quite a certain and possible regional communication and cooperation of, in this case, Serbian and Albanian artists. The experience of post-conflict relations amongst former Yugoslav Republics speaks of culture being the first to succeed in overcoming barriers both territorial and those amongst people. It managed to open door to tolerance and intercultural dialogue in the quickest and most painless way. This project speaks to all citizens amongst whom there is still bigotry and intolerance, and who the universal Shakespeare drama is all about. The play calls attention to the importance of overcoming prejudices, strengthening trust and increasing the level of tolerance. The RCC’s activities are principally focused on fostering regional cooperation in the area of economy and society. But an integral part of the endeavours to boost economic recovery and speed up EU integration is also regional cooperation in the field of arts and culture. Just in the past 14 months, the RCC has supported a performance of “Gospodja ministarka” by the Bosko Buha theatre from Belgrade in Sarajevo; a guest performance of Sarajevo National Theatre’s production of “Balkanski spijun u Sarajevu” in Belgrade; a literary evening of Vladimir Pistalo in Sarajevo and another one of Zijah Sokolovic in Pristina.